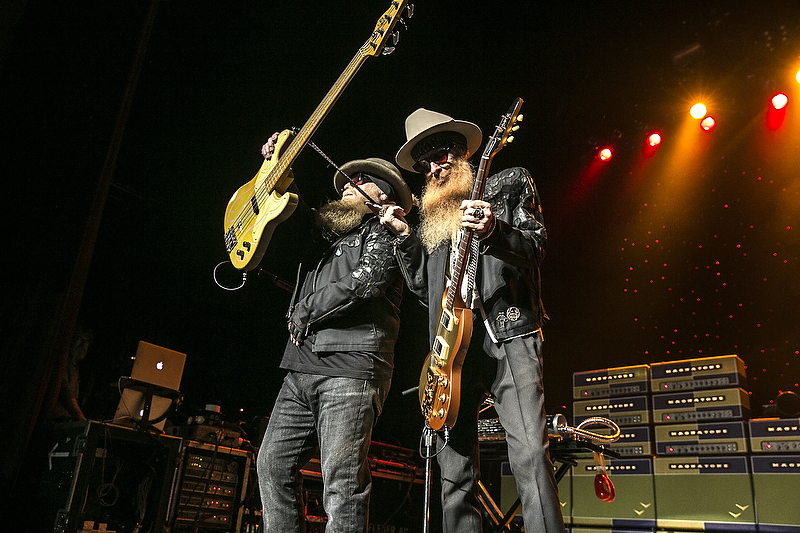 Rock and Roll Hall of Famers ZZ Top blew through the City National Civic to perform for a sold out house in what amounted to a “wham, bam, thank you ma’am” quickie of a 75 minute appearance. Celebrating the advent of 50 years of rock, the band kicked off their 2019 slate of live performances by playing a truncated set of hits from their stalwart career. While their performance was full of energy, and kept the majority of folks standing (despite the fact it was a seated floorplan), the curiously short set duration left many fans feeling somewhat short-changed. 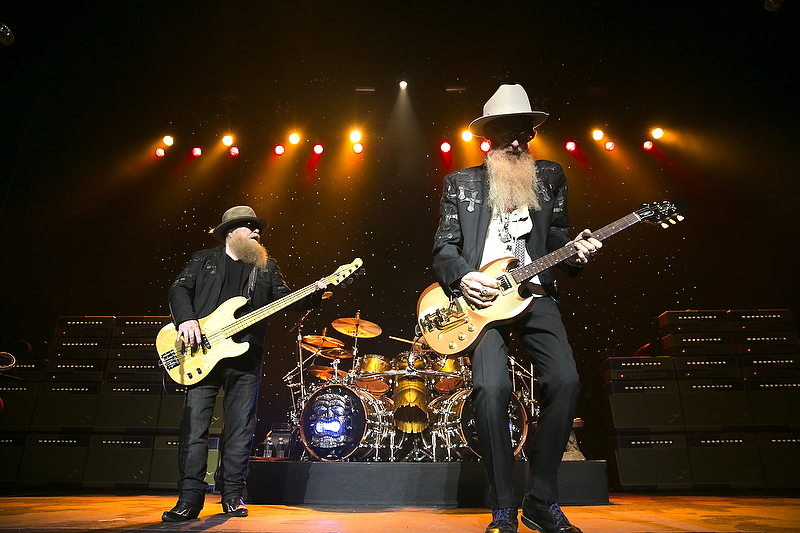 Though the all-original lineup of Billy Gibbons (guitars/vocals), Dusty Hill (bass/synths), and Frank Beard (drums) are all verging on 70 years old, they looked and sounded in fine form. Revving up their blues-fueled engine, their trademarked rough and tumble sound instantaneously took over the room, coaxing dancing in the aisles and a general Texas-sized good time to be had by all. As the evening progressed, fans sporting ZZ Top track suits, over-sized ZZ Top gold necklaces, and acres of beards (some fake but many real) soaked it all in. The set list largely drew from their classic catalog, with only one song in the set (‘I Gotsta Get Paid’ from La Futura – 2012) that was written in this century. 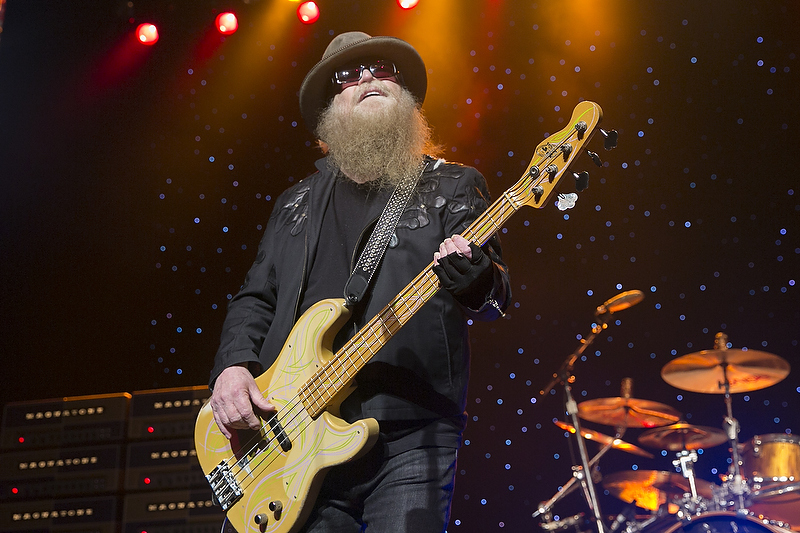 Whether it was the more traditional blues-rock classics such as ‘Jesus Just Left Chicago’ and ‘I’m Bad, I’m Nationwide,’ or the MTV era hits which broke them into the mainstream (like the pairing of ‘Sharp Dressed Man’ and ‘Legs’ which closed the main set), it was very evident that ZZ Top is still a well-honed machine of a band that knows how to work a crowd. 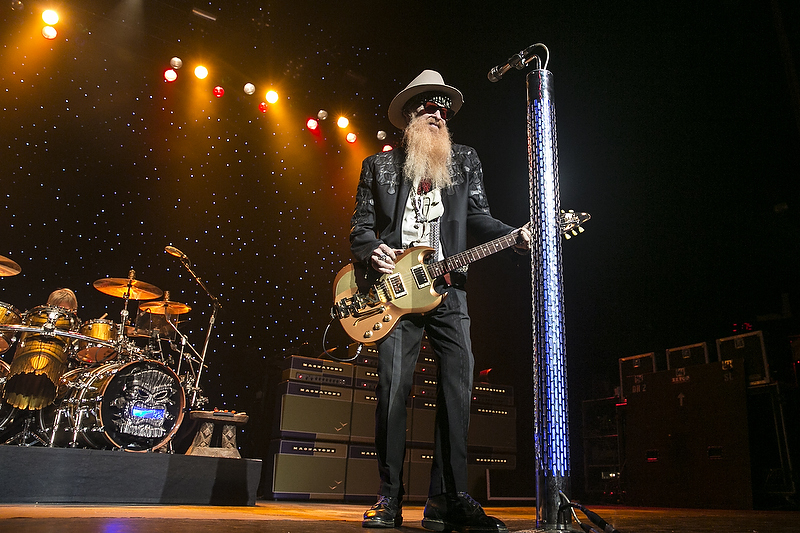 Though the quality of the music and songs have never been in question for ZZ Top, the value they presented to their fans on this evening certainly was. 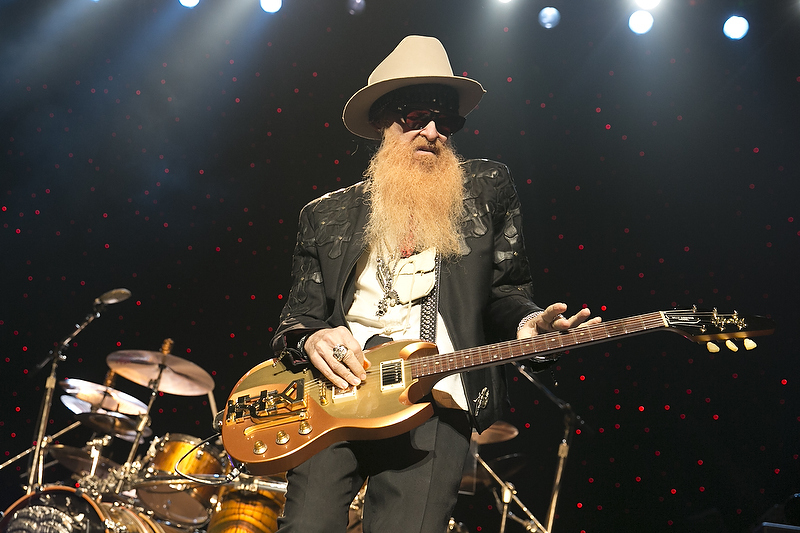 As mentioned, there was no opener for the evening, and after Billy Gibbons and the boys left the stage a second and final time (following a two song encore of ‘La Grange’ and ‘Tush’), it was apparent that they weren’t coming back out again. By the way it was 9:15 pm, and there were plenty more songs they could have played….’wham, bam, thank you ma’am’. Upon exiting the main hall, the comments heard were a mixed bag ranging from “That was awesome! !” to “I spent $100 and they played for 75 minutes??! !” In the lobby, that same type of post-show banter continued throughout the very long line of folks waiting to buy t-shirts, with one couple even saying they thought they could make it home by the 10 o’clock news. All of that begs the question of what is expected of a Hall of Fame level band when ticket and merchandise prices are so high? Is it enough to get to see these living legends perform, or does the current economy of entertainment mean the artists should give fans more bang for the buck? 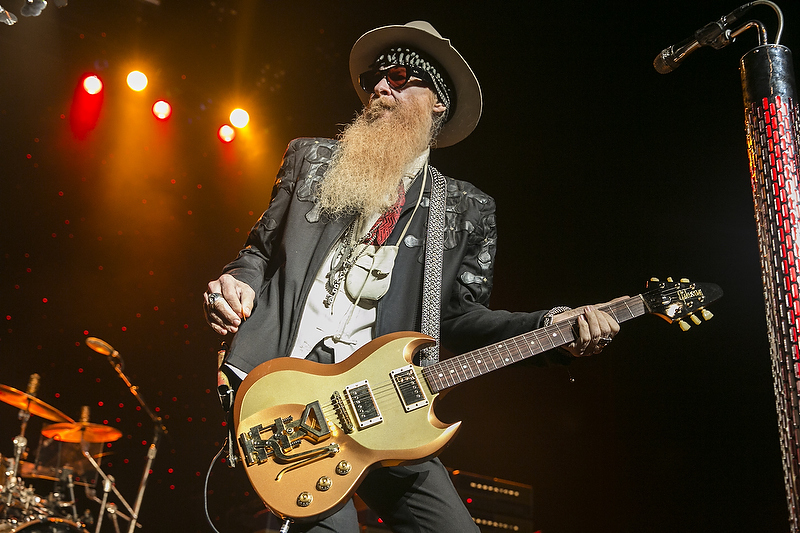 Could the answer be found in the middle of the ZZ Top set list? Folks that went to the show will have to make up their own minds. 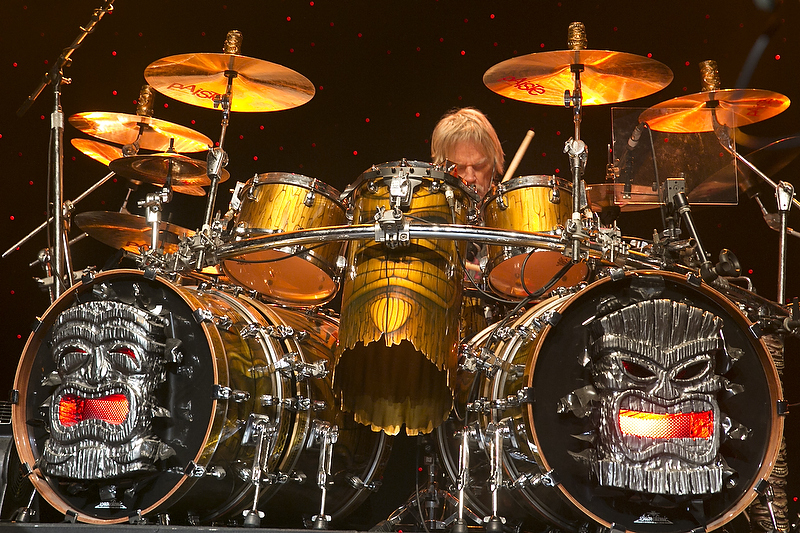 Photos from show in 2016. 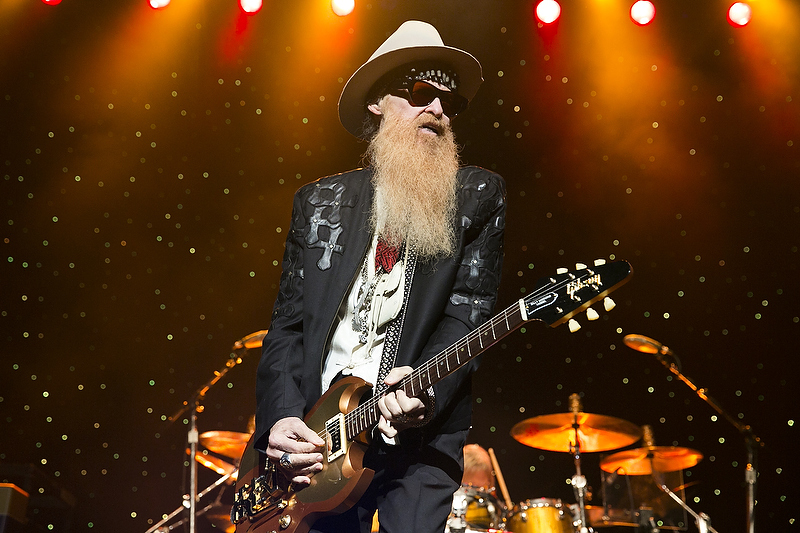 More about ZZ Top can be found here.